Iran has condemned the assassination of a Jordanian writer, holding those who are not able to bear an “anti-Zionism and anti-Wahhabism” figure liable for his killing. “The responsibility of this assassination lies with those individuals who cannot tolerate the writings and opinions of this anti-Zionism and anti-Wahhabism author,” Iranian Foreign Ministry spokesman Bahram Qassemi said on Monday. “The spread of the wave of violence and terror is a direct outcome of incorrect policies and double-standard approaches by international political and media circles and of disgusting passivity in countering the ideological and political roots of Takfirism and violence,” the Iranian spokesperson added. He called for immediate action to identify and bring to justice the perpetrators and masterminds of such a terrorist act. 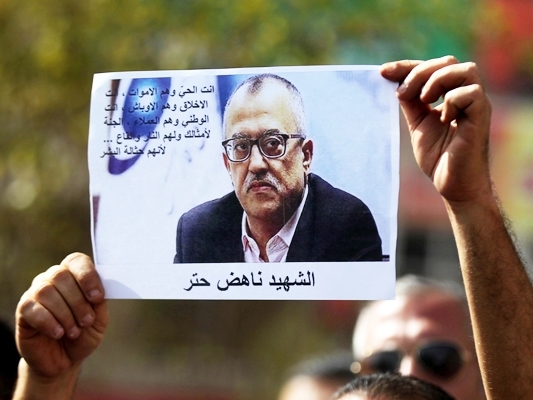 A gunman on Sunday shot dead the Jordanian writer, Nahed Hattar, outside a courthouse where he was expected to stand trial on charges of sharing a cartoon deemed insulting to Islam. The assailant fired three shots at Hattar in front of the Palace of Justice in the Jordanian capital, Amman. Hattar had been arrested in August after posting the caricature on his Facebook account. The 56-year-old Christian was charged with inciting sectarian strife and insulting Islam before being released on bail in early September. The authorities accused the writer of violating law by sharing the cartoon. Hattar had later apologized and said that he had not meant to disrespect God but rather to mock radicals and their perception of the religion.